The California Naturalist program at Pasadena City College (PCC) invites students to discover the dynamic southern California environs, engage in local stewardship challenges, and become an active member of a growing base of citizen scientists and volunteers. 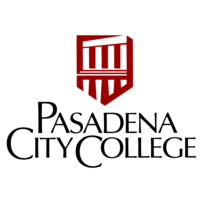 PCC is offering UC California Naturalist certification as part of the Field Biology curriculum focusing on the natural history of Southern California with an emphasis on the Pasadena area including the Arroyo Seco watershed, Ernest Debs Park, and Eaton Canyon Park. Interested students enroll in Biology 14 (Field Biology) a 4 unit course that satisfies the Life Science with a lab requirement for transfer to a University or, in some inter-sessions, Biology 26 ( Field Studies). The Pasadena CA Naturalist course will be offered in the summer, fall and spring terms. Upon successful completion of course requirements, participants will have the option of obtaining the UC California Naturalist Certification ($50 FT students/$100 other, one time fee) certification. Participants will build their resume and become a more desirable candidate to work or volunteer for public land agencies or environmental education organizations. More information on dates and registration can be obtained from Russell Di Fiori.